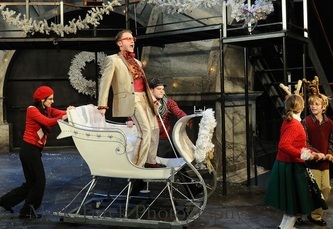 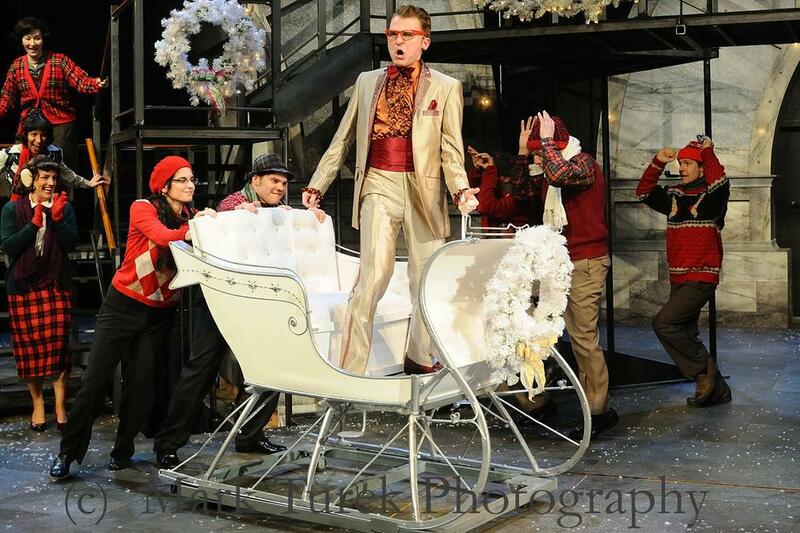 An antique sleigh donation turned into a rockin' entrance for the Ghost of Christmas Present in the 2011 production of 'A Christmas Carol' at Trinity, set in 1959. 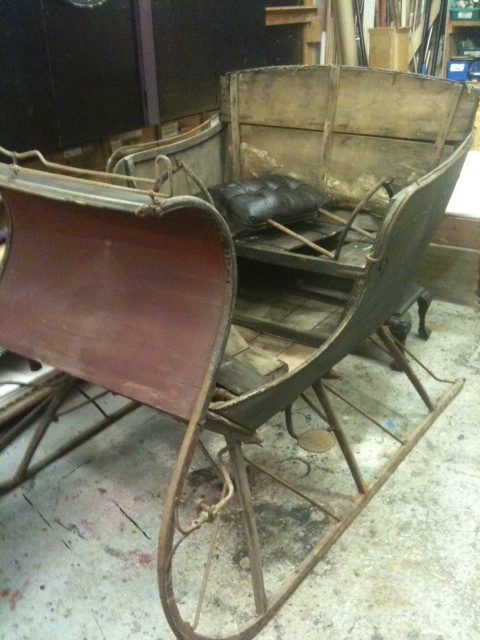 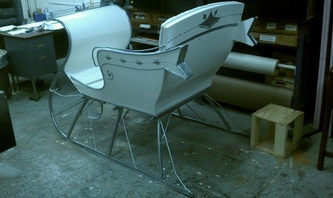 Meredith, the props assistant, and I worked together to complete the sleigh's transformation. 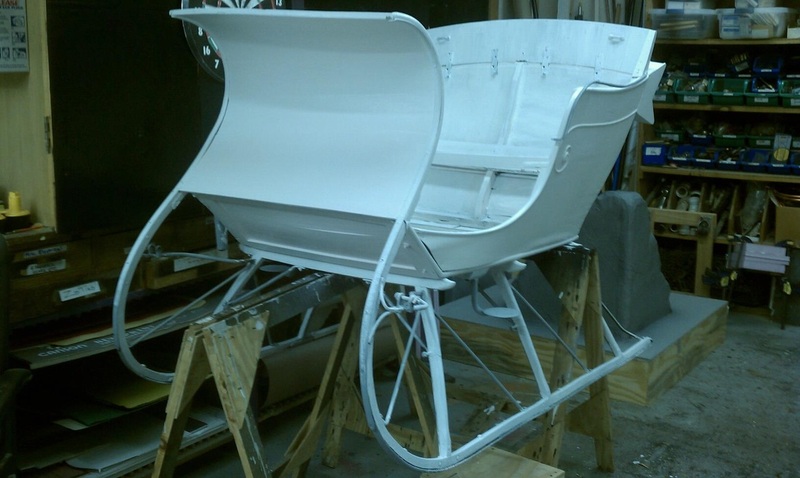 After much sanding, priming, adding retro Cadillac-inspired fins, and lots of paint, the sleigh was finished with upholstery by Michael, the props master.